I just got back from another exciting weekend at Circuit of the Americas, this time with my good friend Reg Williams. 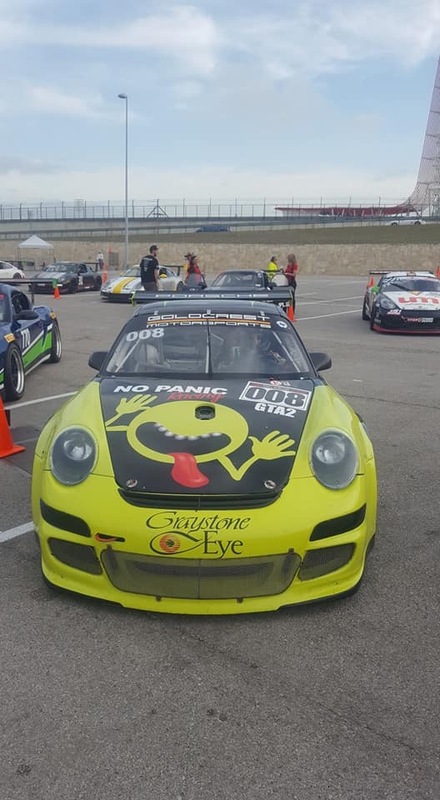 Reg is a longtime racer and was coming back for his second visit to COTA. We had set up some specific goals coming into the weekend to build on his first visit there, and we had prepared with plenty of simulator practice plus data and video review so that we could maximize efficiency during that first day on track. On the grid and ready to go. Not panicked at all! Although we had a solid plan, things did NOT go according to it! In the second session of the first day, a timing chain failure not only ended the session, but the entire day. Determined not to give up, the Goldcrest Motorsportsteam worked to find a solution. We put our heads together and, luckily, found a way to salvage the weekend. A great friend and fellow racer, Jeff Mosing, is local to Austin and had a similar car that we could borrow an engine from for the weekend. Reg and I had to drive into Austin to get Jeff’s car, which we towed out to the track. 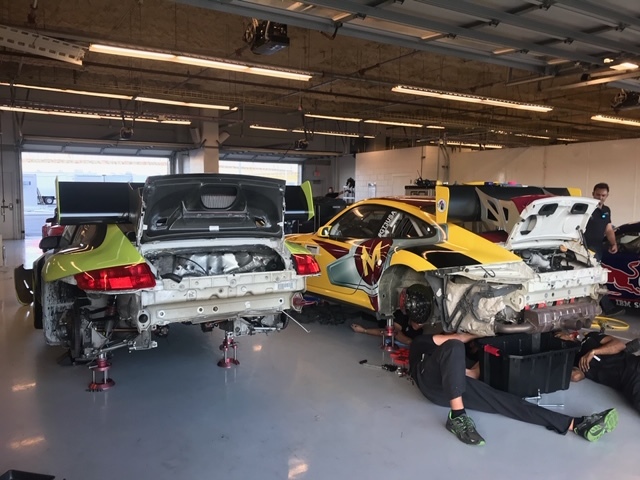 After sorting a lot of logistics, the Goldcrest team busily got to work, pulling both engines and installing the good one in Reg’s car overnight. Saturday morning, the car was on track and running great, so we were back in action. Reg was able to get his best time at COTA and finish on the podium in each of his races. At the end of the weekend, not a race lap was missed and we all had a ton of fun, thanks to the hard work, dedication and camaraderie that allowed the weekend to go on. Now I’m off to Barber Motorsports Park for rounds three and four of the Battery Tender Global MX-5 Cup Series. I’m excited to witness another weekend of intense racing at that beautiful facility.